Night Black 2019 Mercedes-Benz GLA GLA 250 FWD 7-Speed Automatic 2.0L I4 DI Turbocharged Android Auto, Apple CarPlay, Blind Spot Assist, HANDS-FREE ACCESS, Heated Front Seats, KEYLESS GO®, Premium Package, SIRIUSXM Satellite Radio, Smartphone Integration. Recent Arrival! 24/33 City/Highway MPGNight Black 2019 Mercedes-Benz GLA GLA 250 FWD 7-Speed Automatic 2.0L I4 DI Turbocharged Android Auto, Apple CarPlay, Blind Spot Assist, HANDS-FREE ACCESS, Heated Front Seats, KEYLESS GO®, Premium Package, SIRIUSXM Satellite Radio, Smartphone Integration. Android Auto, Apple CarPlay, Auto-Dimming Rearview & Driver-Side Mirrors, Blind Spot Assist, Convenience Package, Garage Door Opener, HANDS-FREE ACCESS, Heated Front Seats, KEYLESS GO®, Premium Package, SIRIUSXM Satellite Radio, Smartphone Integration. Recent Arrival! 24/33 City/Highway MPGAndroid Auto, Apple CarPlay, Auto-Dimming Rearview & Driver-Side Mirrors, Blind Spot Assist, Convenience Package, Garage Door Opener, HANDS-FREE ACCESS, Heated Front Seats, KEYLESS GO®, Premium Package, SIRIUSXM Satellite Radio, Smartphone Integration. Android Auto, Apple CarPlay, Auto-Dimming Rearview & Driver-Side Mirrors, Blind Spot Assist, Convenience Package, Garage Door Opener, HANDS-FREE ACCESS, Heated Front Seats, KEYLESS GO®, Panorama Sunroof, Premium Package, SIRIUSXM Satellite Radio, Smartphone Integration. Recent Arrival! 24/33 City/Highway MPGAndroid Auto, Apple CarPlay, Auto-Dimming Rearview & Driver-Side Mirrors, Blind Spot Assist, Convenience Package, Garage Door Opener, HANDS-FREE ACCESS, Heated Front Seats, KEYLESS GO®, Panorama Sunroof, Premium Package, SIRIUSXM Satellite Radio, Smartphone Integration. Android Auto, Apple CarPlay, Auto-Dimming Rearview & Driver-Side Mirrors, Blind Spot Assist, Convenience Package, Full LED Headlamps, Garage Door Opener, HANDS-FREE ACCESS, Heated Front Seats, KEYLESS GO®, Panorama Sunroof, Premium Package, SIRIUSXM Satellite Radio, Smartphone Integration. Recent Arrival! 24/33 City/Highway MPGAndroid Auto, Apple CarPlay, Auto-Dimming Rearview & Driver-Side Mirrors, Blind Spot Assist, Convenience Package, Full LED Headlamps, Garage Door Opener, HANDS-FREE ACCESS, Heated Front Seats, KEYLESS GO®, Panorama Sunroof, Premium Package, SIRIUSXM Satellite Radio, Smartphone Integration. Android Auto, Apple CarPlay, Blind Spot Assist, HANDS-FREE ACCESS, Heated Front Seats, KEYLESS GO®, Panorama Sunroof, Premium Package, SIRIUSXM Satellite Radio, Smartphone Integration. Recent Arrival! 23/31 City/Highway MPGAndroid Auto, Apple CarPlay, Blind Spot Assist, HANDS-FREE ACCESS, Heated Front Seats, KEYLESS GO®, Panorama Sunroof, Premium Package, SIRIUSXM Satellite Radio, Smartphone Integration. Android Auto, Apple CarPlay, Auto-Dimming Rearview & Driver-Side Mirrors, Blind Spot Assist, Convenience Package, Garage Door Opener, HANDS-FREE ACCESS, Heated Front Seats, KEYLESS GO®, Panorama Sunroof, Premium Package, SIRIUSXM Satellite Radio, Smartphone Integration. Recent Arrival! 23/31 City/Highway MPGAndroid Auto, Apple CarPlay, Auto-Dimming Rearview & Driver-Side Mirrors, Blind Spot Assist, Convenience Package, Garage Door Opener, HANDS-FREE ACCESS, Heated Front Seats, KEYLESS GO®, Panorama Sunroof, Premium Package, SIRIUSXM Satellite Radio, Smartphone Integration. Android Auto, Apple CarPlay, Auto-Dimming Rearview & Driver-Side Mirrors, Blind Spot Assist, Convenience Package, Garage Door Opener, HANDS-FREE ACCESS, harman/kardon®® Premium Sound System, Heated Front Seats, Illuminated Star, KEYLESS GO®, Panorama Sunroof, Premium Package, SIRIUSXM Satellite Radio, Smartphone Integration. Recent Arrival! 24/33 City/Highway MPGAndroid Auto, Apple CarPlay, Auto-Dimming Rearview & Driver-Side Mirrors, Blind Spot Assist, Convenience Package, Garage Door Opener, HANDS-FREE ACCESS, harman/kardon®® Premium Sound System, Heated Front Seats, Illuminated Star, KEYLESS GO®, Panorama Sunroof, Premium Package, SIRIUSXM Satellite Radio, Smartphone Integration. Android Auto, Apple CarPlay, Auto-Dimming Rearview & Driver-Side Mirrors, Blind Spot Assist, Convenience Package, Garage Door Opener, HANDS-FREE ACCESS, harman/kardon®® Premium Sound System, Heated Front Seats, Illuminated Star, KEYLESS GO®, Panorama Sunroof, Premium Package, SIRIUSXM Satellite Radio, Smartphone Integration. Recent Arrival! 23/31 City/Highway MPGAndroid Auto, Apple CarPlay, Auto-Dimming Rearview & Driver-Side Mirrors, Blind Spot Assist, Convenience Package, Garage Door Opener, HANDS-FREE ACCESS, harman/kardon®® Premium Sound System, Heated Front Seats, Illuminated Star, KEYLESS GO®, Panorama Sunroof, Premium Package, SIRIUSXM Satellite Radio, Smartphone Integration. Android Auto, Apple CarPlay, Auto-Dimming Rearview & Driver-Side Mirrors, Blind Spot Assist, Convenience Package, Full LED Headlamps, Garage Door Opener, HANDS-FREE ACCESS, Heated Front Seats, KEYLESS GO®, Panorama Sunroof, Premium Package, SIRIUSXM Satellite Radio, Smartphone Integration. Recent Arrival! 23/31 City/Highway MPGAndroid Auto, Apple CarPlay, Auto-Dimming Rearview & Driver-Side Mirrors, Blind Spot Assist, Convenience Package, Full LED Headlamps, Garage Door Opener, HANDS-FREE ACCESS, Heated Front Seats, KEYLESS GO®, Panorama Sunroof, Premium Package, SIRIUSXM Satellite Radio, Smartphone Integration. Android Auto, Apple CarPlay, Auto-Dimming Rearview & Driver-Side Mirrors, Blind Spot Assist, Convenience Package, Full LED Headlamps, Garage Door Opener, HANDS-FREE ACCESS, Heated Front Seats, Illuminated Star, KEYLESS GO®, Panorama Sunroof, Premium Package, SIRIUSXM Satellite Radio, Smartphone Integration. Recent Arrival! 23/31 City/Highway MPGAndroid Auto, Apple CarPlay, Auto-Dimming Rearview & Driver-Side Mirrors, Blind Spot Assist, Convenience Package, Full LED Headlamps, Garage Door Opener, HANDS-FREE ACCESS, Heated Front Seats, Illuminated Star, KEYLESS GO®, Panorama Sunroof, Premium Package, SIRIUSXM Satellite Radio, Smartphone Integration. Android Auto, Apple CarPlay, Blind Spot Assist, Heated Front Seats, Heated Steering Wheel, KEYLESS GO®, Panorama Sunroof, Premium Package, SiriusXM Satellite Radio, Smartphone Integration Package. Recent Arrival! 22/27 City/Highway MPGAndroid Auto, Apple CarPlay, Blind Spot Assist, Heated Front Seats, Heated Steering Wheel, KEYLESS GO®, Panorama Sunroof, Premium Package, SiriusXM Satellite Radio, Smartphone Integration Package. Android Auto, Apple CarPlay, Blind Spot Assist, Heated Front Seats, Heated Steering Wheel, KEYLESS GO®, Panorama Roof, Premium Package, SiriusXM Satellite Radio, Smartphone Integration Package. Recent Arrival! 21/28 City/Highway MPGAndroid Auto, Apple CarPlay, Blind Spot Assist, Heated Front Seats, Heated Steering Wheel, KEYLESS GO®, Panorama Roof, Premium Package, SiriusXM Satellite Radio, Smartphone Integration Package. No matter who you’re traveling with, the need for space is no reason to sacrifice luxury on the road. 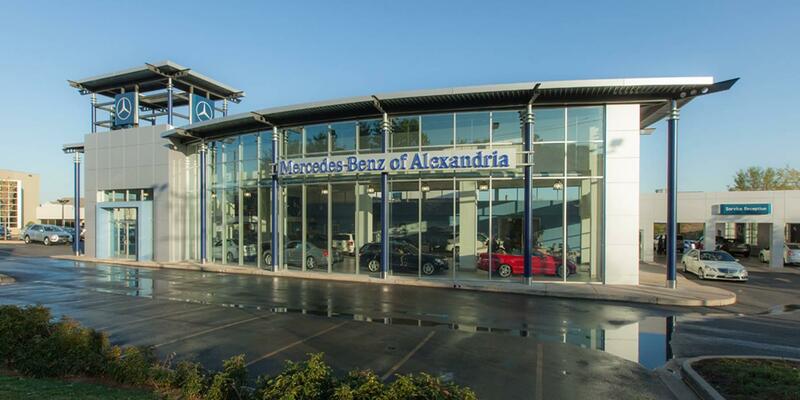 With a wide range of crossovers, sport utility vehicles, and wagons available, the inventory of new Mercedes-Benz vehicles at our Alexandria dealership convenient for Northern Virginia, Washington DC, and Prince George’s County is perfectly suited to your busy lifestyle. Perfectly marrying the timeless luxury and refinement of Mercedes-Benz with the plentiful passenger room and cavernous cargo area you county on, these vehicles are ready to help you cruise through your busy schedule in style. Whether you’re loading up on cargo or bringing your growing family along for the ride, these spacious options from Mercedes-Benz help you make the most of the road ahead. If the versatile crossovers, SUVs, and wagons in our showroom have you eager to get behind the wheel of one of these hatchbacks, then the latest Mercedes-Benz specials at our Alexandria dealership convenient for Northern Virginia, Washington DC, and Prince George’s County are sure to appeal to you, too. These specials provide valuable opportunities to help you get into a brand new luxury vehicle that your whole family is sure to love. For more information on the latest family-friendly vehicles from Mercedes-Benz, or to schedule a test drive here at Mercedes-Benz of Alexandria, be sure to contact our team by calling (703) 341-2100 today.